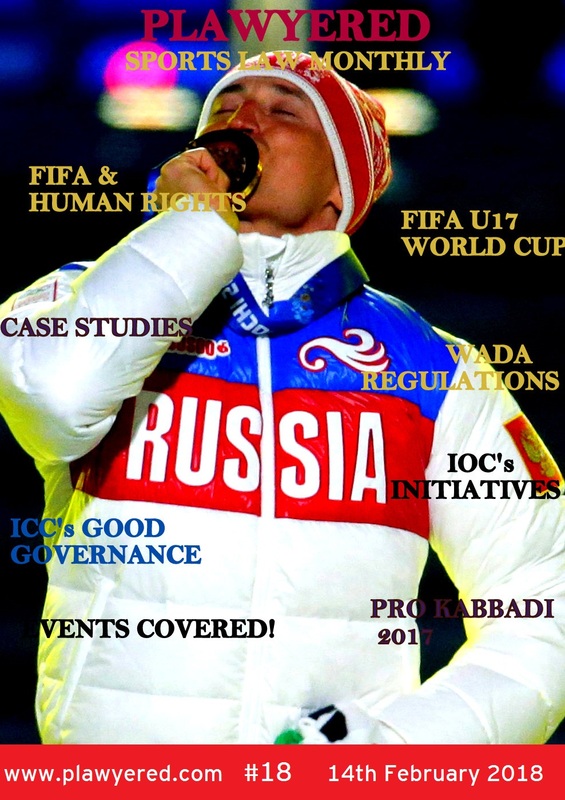 Plawyered : Sports Law Monthly is accepting articles for its upcoming issues.The issue of the magazine shall be released on 14th of every month. The magazine shall accept articles relating to sports law/management/industry. The articles must be between 500 words to 2000 words. Articles can also be submitted for the Fan Blog segment.Write to us about your favourite player/sport/team, your own experience(s) in sports and anything that relates to sports. No age limit and no eligibility criteria. School students, college students, teachers, players, coaches, professionals, house makers, citizens, non citizens, senior citizens, aliens (and those not mentioned) can write!